Right now, though, I’m thinking oranges. Why? It’s not part of the new blog colour scheme, if that’s what you’re thinking. The reason is that navel oranges are coming back into season here in Australia, specifically Victoria. We grow awesome oranges locally. But it irks me that in the warmer months we import Navel oranges because everyone seems to want Navels. In summer, we have the most wonderful Valencia oranges that always seem to be cast aside, into the shadows, with Navels always getting the limelight. Or orangelight in this case. Whatever. I love using fruit and vegetables in season. They are so much better – sweeter, juicier, and at their peak nutritionally. I bought quite a few this week. Fragrant, perfect, juicy and sweet. Locally grown Navels, because their season has begun and the Valencias have disappeared. At least from my local market. I’ve barely baked anything at all lately aside from essentials like my protein bread. I’ve simply neglected proper baking altogether. Working long hours and not having any time out, even on weekends and public holidays, eventually takes its toll. I’m not fishing for sympathy, mind you. Just a stress buster. The other night, I grabbed my apron, and walked purposefully into the kitchen. “I’m baking a cake. A proper butter, sugar, eggs, and flour, bona fide cake”, I declared … and so I did. Of course, there would be oranges. Given my rosemary bush is just beautiful now and you can smell its fragrance in the garden, I just had to use that too. 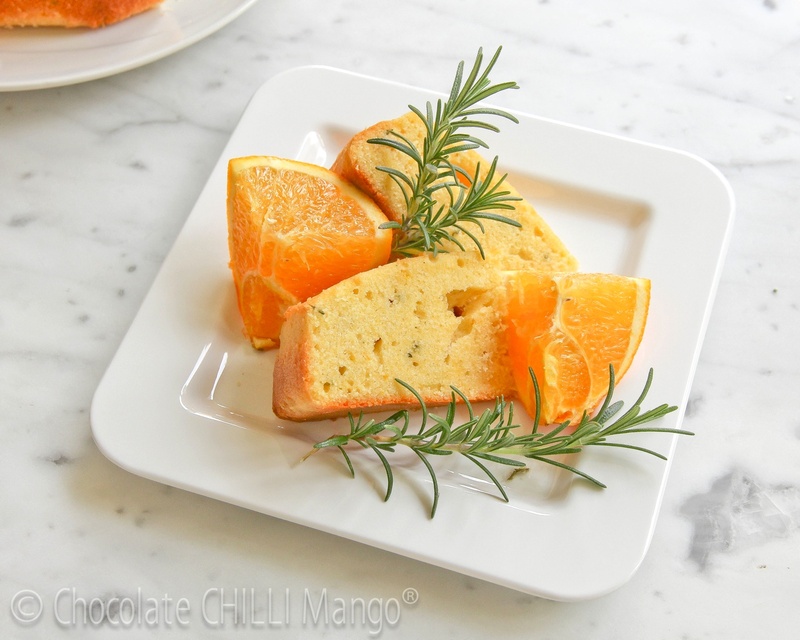 Lemon and rosemary are a very common combination in breads and cakes but orange and rosemary is fairly traditional in Italy too. 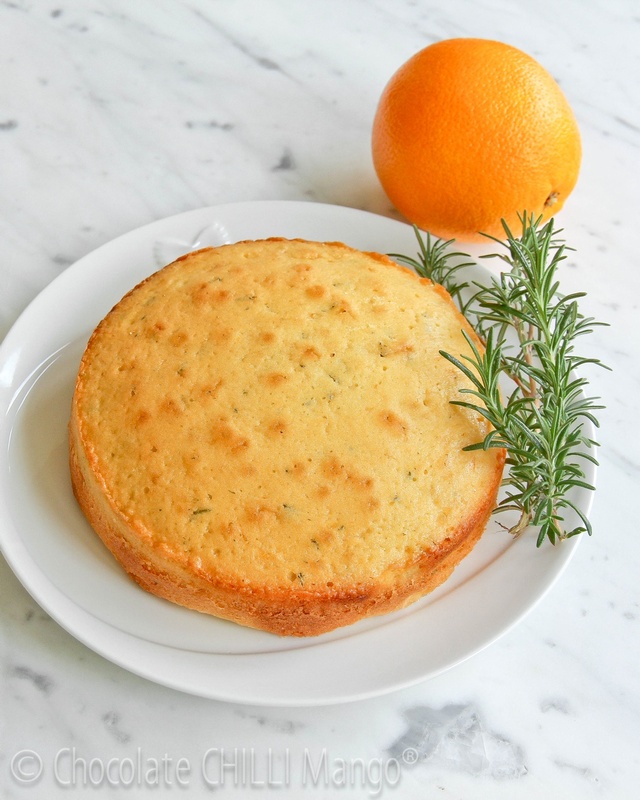 It smells like heaven … sharp rosemary mixed with the sweetness of the orange … wrapped up in a classic butter cake. 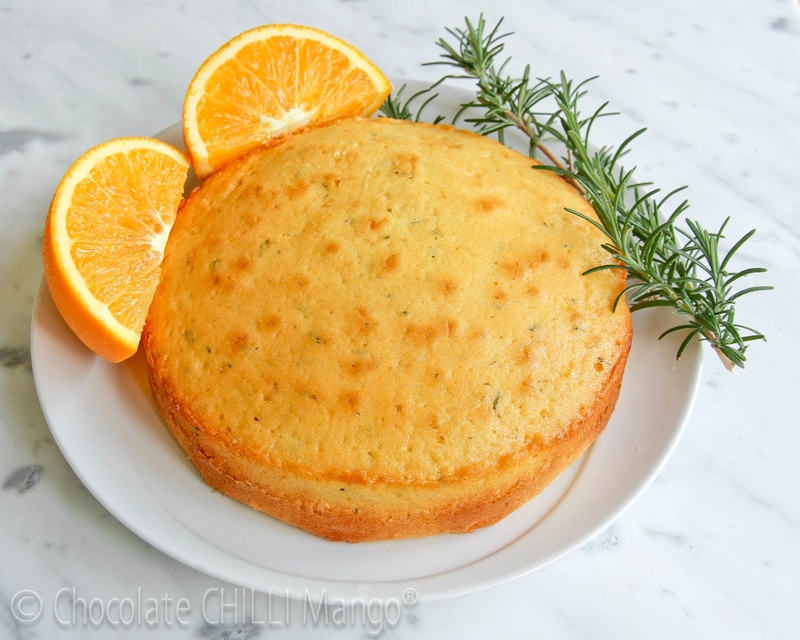 Line the base and sides of a 18 – 20cm round cake tin with baking paper (unless using the non-stick variety). Beat the butter and sugar together until light and creamy. Add the eggs and beat until smooth. Finely grate the zest of the orange and add to the egg and butter mixture. Juice the orange and set aside. Sift the flour and baking powder together. Add half to the batter and beat until smooth. Add the orange juice and mix well. Add the remaining half of the flour and beat until smooth. Finally, add the chopped rosemary and fold in. Transfer the batter to the prepared tin and bake for 40 to 45 minutes, or until a skewer inserted into the centre comes out clean. The top of the cake should be light golden. Set aside to cool in the tin. 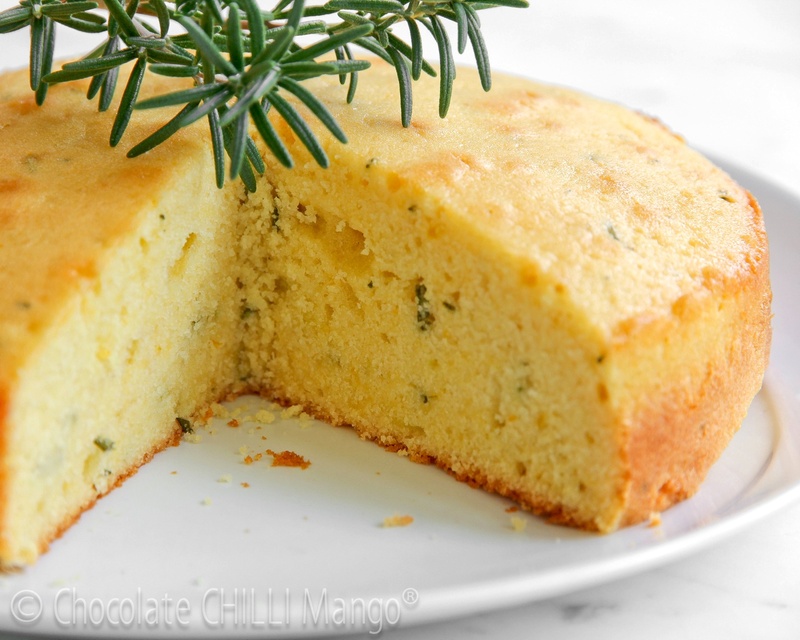 This cake keeps well, stored in an airtight container for several days. If it lasts that long.